We don't charge a call out in normal office hours. We hold a vast number of tyres for emergency use. We try to be with you within the hour if you are stuck at the side of the road. 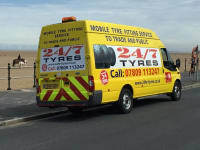 You're in safe hands when you book with 24/7 mobile tyre service to replace your tyres. 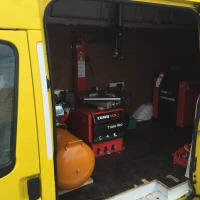 With years of experience our expert fitters will provide a fast and professional service. 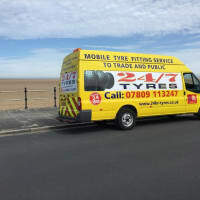 24/7 Tyres provide fast and efficient tyre replacements and repairs across the Wirral. 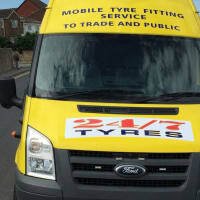 If you have suffered a puncture or other tyre damage, our experienced fitters are ready to help you get back on the road, 24 hours a day. 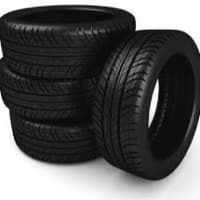 Tyre punctures maybe repairable if the tyre has been punctured by something small like a nail or a screw, and not something large like a piece of broken glass or running into a kerb or pothole. 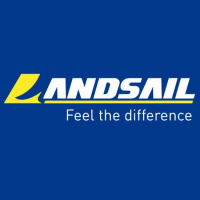 Friendly efficient service; good prices. Very Happy! Perfect as far as I was concerned. 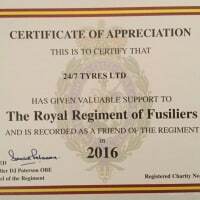 Sourced the slightly unusual tyre size quickly. Arrived on time to do the job. A useful number to keep for those occasions when the government cuts in street cleaning mean more junk (old screws) etc in the roads, and more frequent punctures!